The third studio album from The Michael Schenker Group came to life amidst more personnel turmoil, most notably Graham Bonnet joining on vocals for what proved to be a short association with the band, while Cozy Powell (drums), Paul Raymond (keyboards) and Gary Barden (vocals) departed. 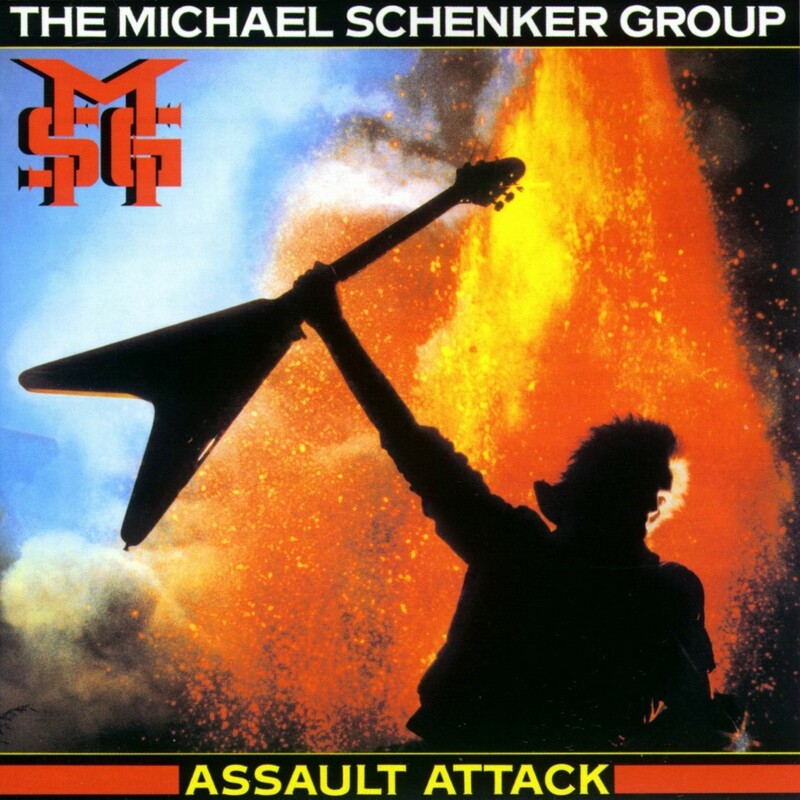 Regardless, Assault Attack sticks closely to the formula introduced earlier on The Michael Schenker Group (1980) and MSG (1981) namely second-tier metal produced for the primary purpose of showcasing patchy guitar wizardry. Bonnet's range is impressive, but he often escapes to his high registry and stays there, with catastrophic results. The worst of the damage is in evidence on Dancer, perhaps one of the most eye-gougingly annoying tracks to ever finds its way onto a metal album. That Dancer was somehow released as a single just adds to the agony. The 2009 CD re-issue includes as a bonus track Girl From Uptown, initially released as Dancer's B-side, and a track that should have been left buried deep in the great vault of rather miserable B-sides. On the plus side, Assault Attack opens with the burly and addictive title track, an example of the best that the band has to offer, the strong composition bringing in the drums, bass, and especially keyboards to augment Schenker's guitar and Bonnet's vocals. Rock You To The Ground is more lyrical, with a grinding riff and melancholy solo section highlighting Schenker's more poetic abilities. Searching For A Reason exists to serve its simple but ridiculously cute riff, the band demonstrating both brilliance-in-bursts and an inability to do much with a nucleus of a great idea. Assault Attack is almost half of a somewhat decent album, best characterized as an assault that did not quite manage to attack or an attack that failed to fully assault. Produced and Engineered by Martin Birch.